Vat is obviously a complex subject for more information and advice see an acccountant . We are Accountants for small and medium business The Mobile Accountant. Quickbooks can handle your VAT Returns as long as it is set up correctly and the data is entered correctly. 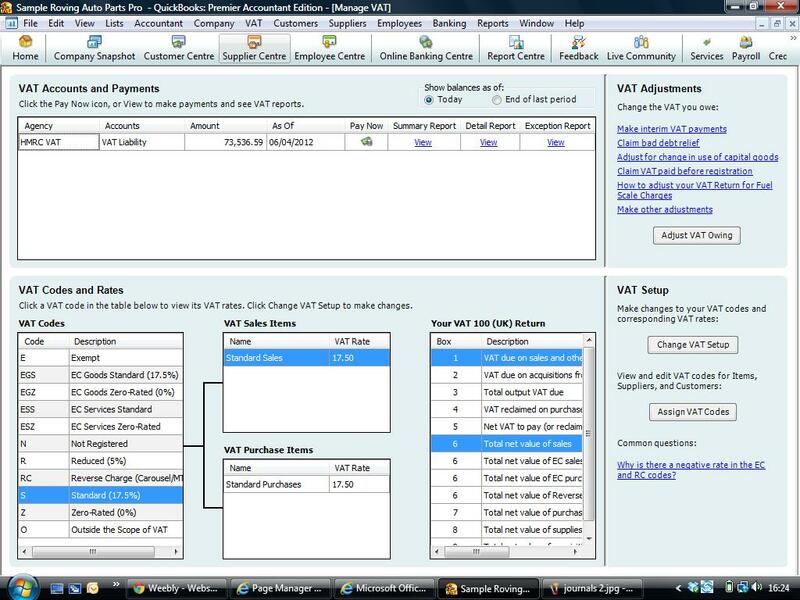 Go to VAT > Manage VAT Screen below. To show VAT Return for last quarter, ensure the dates are entered correctly. Click view summary report - screen below. 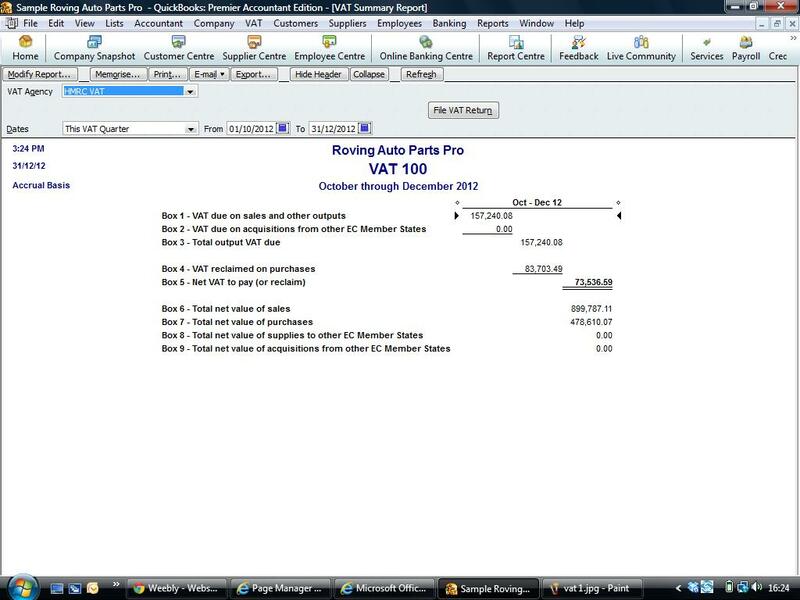 Our Basic and Advanced Quickbooks Training course can tell you more about VAT within quickbooks.